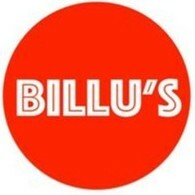 Billu's Indian Eatery joined our Mission to help provide access to “Clean Water for All by 2030”. This Mission was initiated by the United Nations. A big thank you to Billu's Indian Eatery’s team and customers for joining this extremely important mission on 16 November 2017. Billu's - The finest Indian Eatery is a modest family-run restaurant that personalities of international fame go out of their way to dine at when in Australia .West Indies and Sydney Thunder Cricket super star Chris Gayle eats here. Steve Waugh dined there recently with friends, as the Indian cricket team does - Tendulkar, Sehwag, Dhoni, included - whenever in the country. Cricketrs are the not only ones who now know to eat at Billu's in Harris park.The Indian restaurant is a regular haunt for actors and musicians.